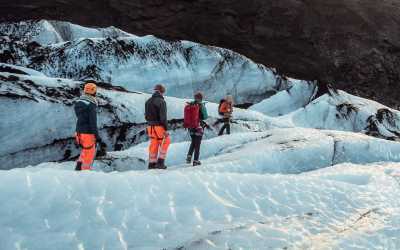 Hike on a majestic Vatnajökull outlet glacier with an experienced glacier guide and explore the shimmering blue/white world within a stunning ice cave. 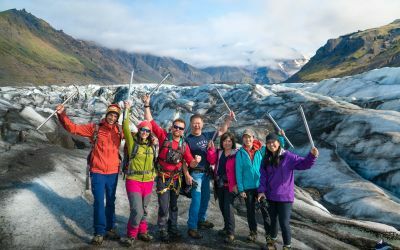 Challenge yourself and get to know the glacier inside and out! For people in good shape and in good health. 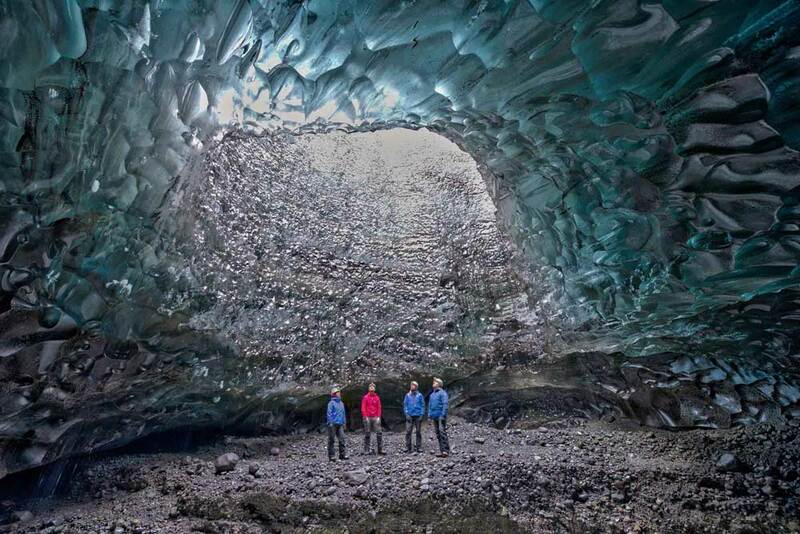 If you want to get to know the glacier this is the tour for you. 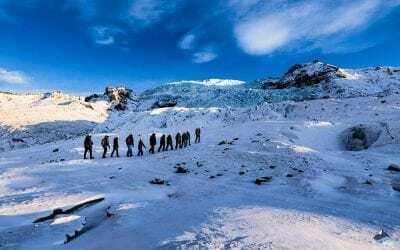 A challenging 1 to 1.5 hour hike on Breiðamerkurjökull, an absolutely stunning outlet glacier of Vatnajökull, Europe´s largest glacier will really show you the best of this fascinating ice world. 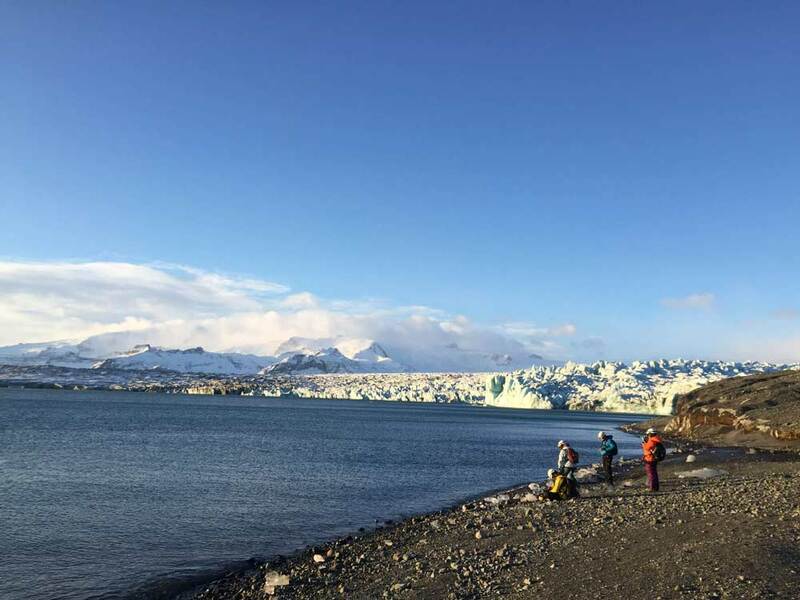 Your knowledgeable glacier guide will share lots of fun and fascinating glacier facts with you along the way. 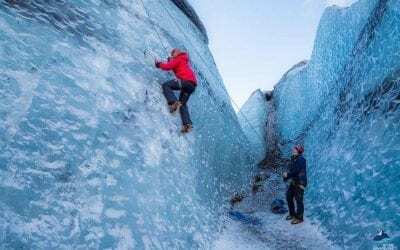 You will see the sharply ridged crevasses which meander their way through the ice, a little like mysterious labyrinths, the great moulins drilling their way down to the base of the glacier, acting as conduits for meltwater and helping the glacier to move. 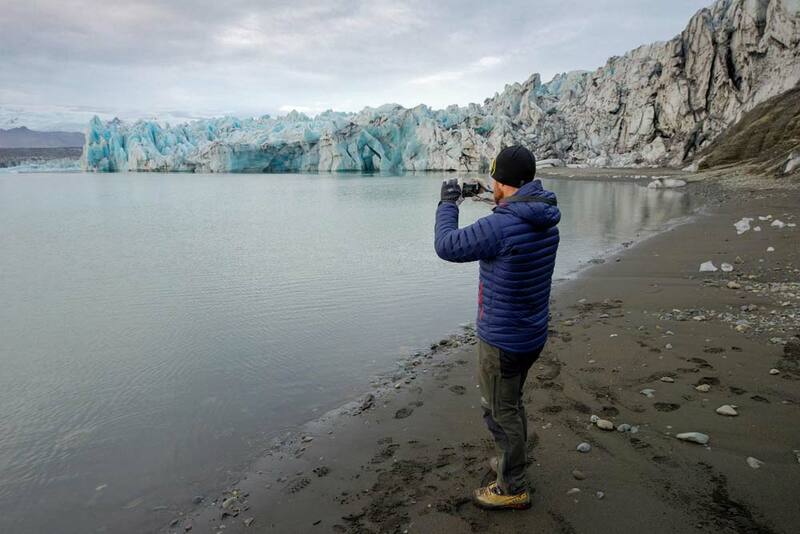 Even a glacier as weighty as Vatnajökull is always moving and changing, this is an incredibly vibrant place which will leave you feeling very humble in the face of nature. 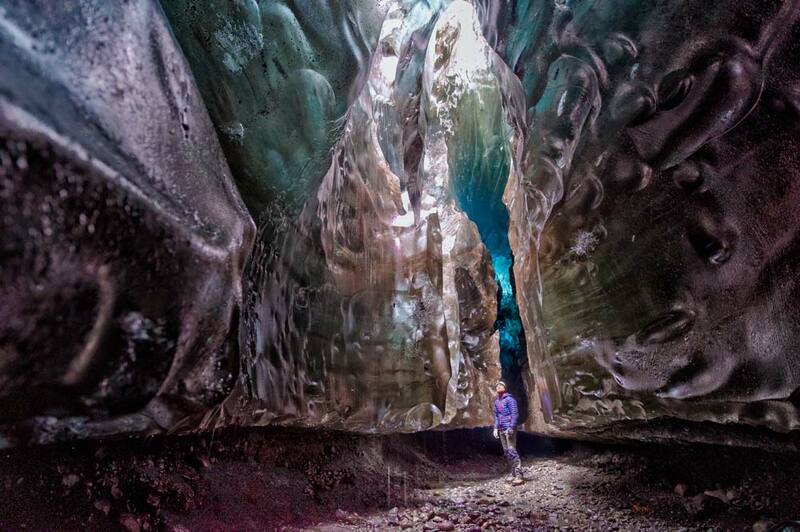 Your invigorating and really exciting glacier hike will bring you to a magical glacier cave. 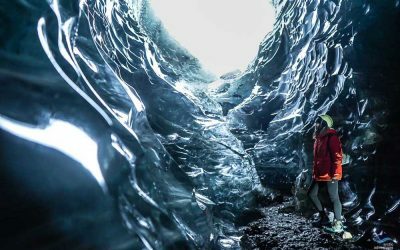 There is nothing quite like the feeling of standing in an ice cave with ancient glacial ice below you, around you and above you. You really will feel as though Iceland is embracing you with great ‘icy-arms’. 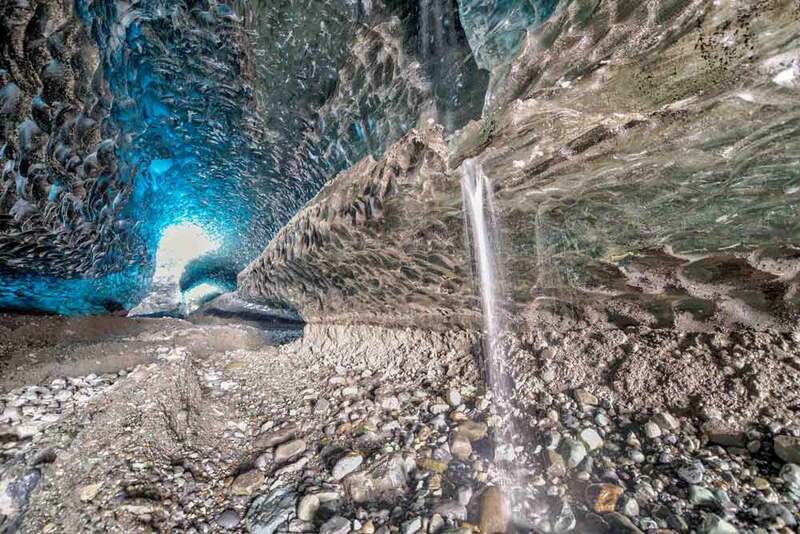 Your guide will tell you how ice caves and the stunning features within them are formed, and how blue ice is created by ice compression pushing the air bubbles out. Sometimes those blues are like transparent blue glass, other times they are more opaque. If you have any questions just ask. On the glacier you will hear unusual sounds, the ice cracking and creaking is one, the other sound you will often hear is more human – gasps of sheer awe. What to bring: Warm outdoor layers (not cotton or jeans), waterproof jacket and pants, hiking boots, headwear and gloves, snacks, drinks and a small backpack. It can get very bright on the glacier so sunglasses are useful too. Proper hiking boots are absolutely essential, it is not possible to fit ice crampons to any other kind of footwear. For safety reasons people without suitable clothing will not be permitted to participate. This tour is challenging, participants need to be in good physical condition. Gaiters are optional but we always recommend that our participants use them. The weather in Iceland can be quite wet so the trails subsequently get wet as well. They are not necessary but being drenched on a hike when conditions are wet and muddy is very unpleasant. Some rain pants have straps at the bottom which serve a similar purpose as gaiters so if you are equipped with those you don’t need both. Hiking poles are not necessary for this tour. The tour guides will provide you with an ice pick and all other safety equipment on the tour. 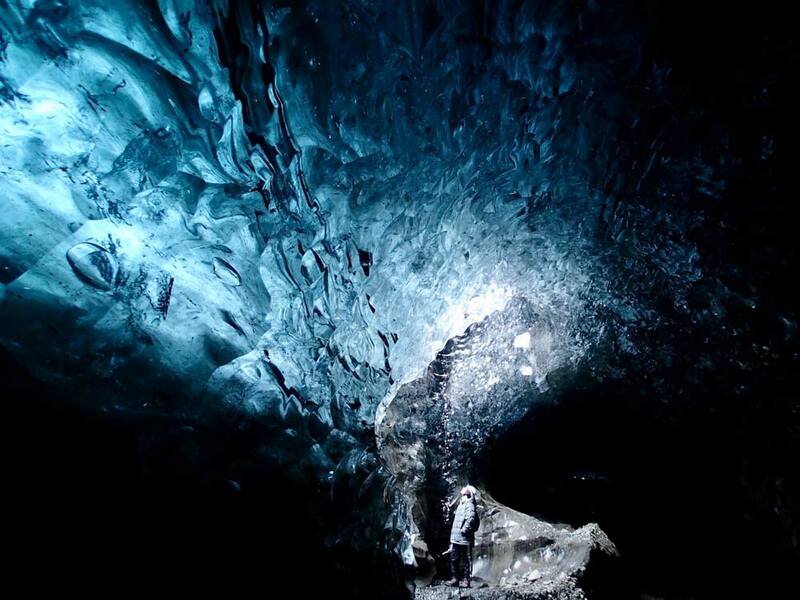 Explore the spellbinding scenery of a living, moving glacier. 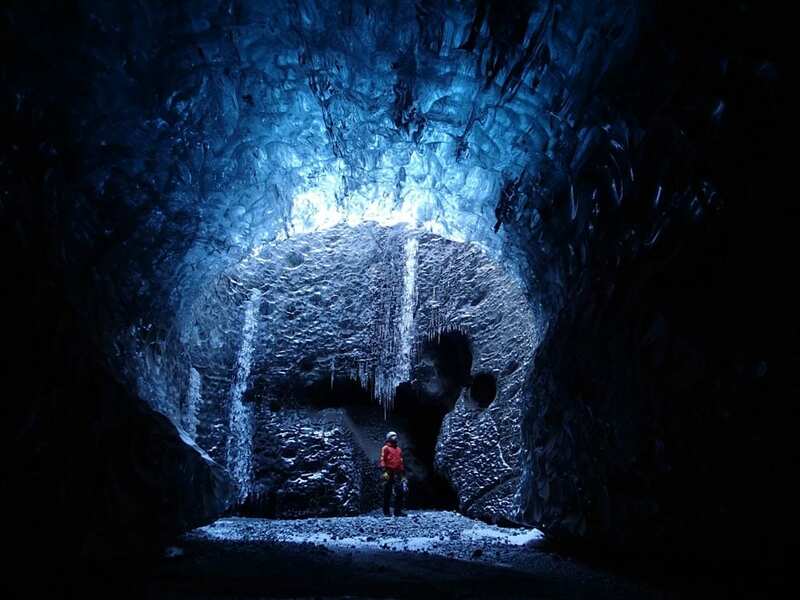 Walk among the crevasses which form great labyrinths and see the most stunning ice sculptures imaginable.